Located on the south shore of Lake Simcoe, we are just off Highway #48, about 35 minutes north of Markham, or an hour from Toronto.. Thank You you for stopping in. We hope that you enjoy our pictures and find our information interesting just click on one of the links below. At Schattentier we have enjoyed over twenty-five years of success with our dogs, proudly producing beautiful Champions and most importantly, wonderful, happy and healthy companions for our families. 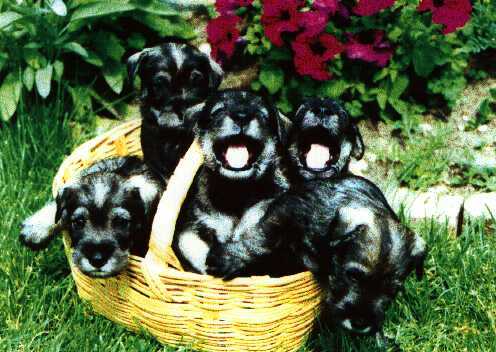 Puppies pictured here are about 5 weeks old and are from our very first litter over 25 years ago.We are just as excited today when a new litter arrives as we were then. The whole family is involved. 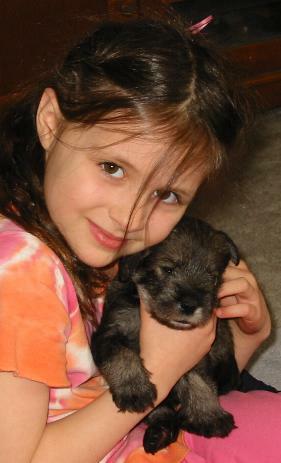 Our granddaughter Alisha holds a 3 week old puppy. She and her brothers are here most weekends to visit. They assist in feeding and socializing our pups. 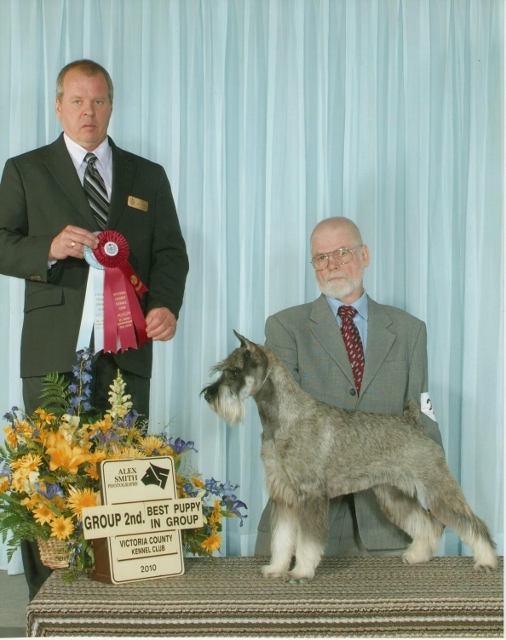 In the last few years they have been assisting Ron at shows. .
Our Sophie, Schattentier's Casino Royal, pictured here at 9 Months old, has finished her Championship with some nice wins in the summer of 2010 including best of winners at our National Specialty. Sophie is a product of many years of planning and selective breeding.